Dragons have never gone away, per se, but I feel as though recently they've made a resurgence in YA fantasy. In this past year I've read The Sweetest Dark, Seraphina, and (adult fantasy) A Natural History of Dragons. In 2014 I'm already looking forward to Joshua McCune's Talker 25, and I know there are other titles on my radar that I'm forgetting at this moment. The truth is that you can never have too many dragon books. And my latest find looks amazing. 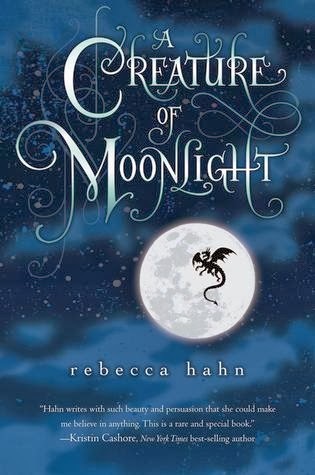 Rebecca Hahn's debut A Creature of Moonlight will be released by HMH Books for Young Readers on May 6, 2014.